Personal trainers, dieticians, nutritionists, therapists etc have become an indispensable part of the fitness and wellness industry. To handle the day to day operations of fitness and wellness needs of customers in gyms/fitness centers is not possible without hiring skilled professionals. To hire a personal trainer, nutritionist, therapist etc there is a need to invest time and resource in searching, shortlisting, assessing and then finally bringing these professionals on board. Business houses and their human resource departments though are effective in recruitment and management of administrative level personnel needs, some assistance is required when it comes to hiring skilled professionals. Hence, recruitment agencies are the trusted option to get the recruitment done. Personal trainer needed, dietician needed, therapist needed etc are some common staffing request that a recruitment agency receives from gym and fitness centres. 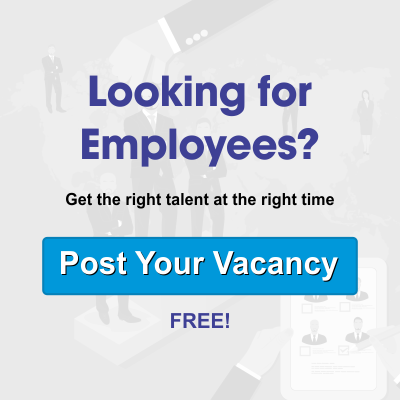 To deliver to these manpower needs, recruitment agencies have committed recruiters who are not only qualified and skilled, but are also experienced in the respective domain. Alliance recruitment agency has been here for over a decade and has catered to the recruitment needs of a number of firms in different domains of the economy in an effective and efficient manner. A network of recruiters spanning across the globe and the experience of tendering world-class solutions makes us an ideal choice for closing your manpower needs. Need a personal trainer. happens to be a common vacancy floated by the gym chains/fitness centers/wellness clubs. What firms actually look for is a professional that can be hired at an affordable price without compromising on the skills and qualification front. Personal trainers are generally bodybuilders or professional sports people who try their hands at fitness training. To choose among the best and affordable trainers requires several rounds of shortlisting and assessment. This happens to be a really tiring process. Since the day to day business operations are itself very hectic and time-consuming, investing time in hiring personal trainers is almost impossible for firms. Outsourcing of recruitment services to professional recruitment agency thus becomes a necessity and not a luxury for the firms. Alliance recruitment agency with a committed service delivery and time-bound solutions, has made a mark for itself. Alliance is a prominent recruitment agency to rely on when you have any recruitment or staffing need. We offer you the best and affordable solutions in an efficient manner. Business houses looking for personal trainers, nutritionist, dietician etc and job seekers who are looking to be placed as a personal trainer, nutritionist, or dietician can connect with us at www.alliancerecruitmentagency.com. Our service team would be pleased to deliver to your needs.